You have to be cautious about new applications and extensions even if they promise you better services. The KraKra Games extension might promise you free access to online games, but the chances are that you already can play those games for free on krakragames.com, and the extension is simply the key that unlocks direct access to them. If you have downloaded the extension already, you will learn why you should remove it if you continue reading this report. If you have not installed it yet, but you are interested in learning more about it, you can continue reading as well. Ultimately, the seemingly harmless and even helpful extension is, in fact, an advertising tool that was created for the sole purpose of bombarding you with virtual advertisements. Can they be trusted? That is a difficult question to answer because all kinds of ads could be shown with the help of the extension. Of course, since less reliable ads could be shown as well, you should really consider deleting KraKra Games. At the time of research, only users of Google Chrome and Mozilla Firefox web browsers needed to worry about this. First, we have to discuss the installation of KraKra Games. How did you come across this extension? Most likely, you were introduced to it via krakragames.com/games/lander.php? when trying to play some game on the website. 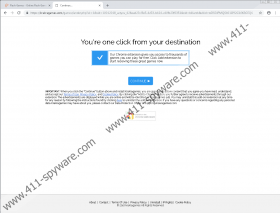 Mozilla Firefox users can acquire the extension directly from this page, but Google Chrome users need to visit the Chrome web store to find the installer. At the time of analysis, it was available at chrome.google.com/webstore/detail/krakragames/jjnipfcfcddhgepeneeedbiophaehhkb. That is exactly how BlastGamesNetwork is introduced to users as well. Our analysts report that both of these advertising-supported extensions act the same, and they themselves appear to be identical. Once installed, they are meant to implement data-tracking tools – such as web cookies, beacons, and tags – to monitor users’ activity and record certain data. Advertising cookies, for example, are meant to help deliver ads that are relevant to recent browsing history. 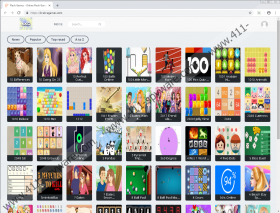 If you install the extension thinking that it will grant you access to games, you might be surprised to learn that it acts as an advertising tool, and that might be a good enough reason to initiate the removal of KraKra Games extension. You might be willing to put up with advertisements as long as you can play KraKra Games for free, and maybe you could be safe if you did not interact with them, but it is hard to say whether or not you are actually safe, considering that data is continuously recorded about you. Of course, if you choose to interact with the advertisements, you are at a higher risk of potentially facing misleading offers, surveys, links, and websites. If you happened to encounter malicious ads, you could become a victim of identity theft, vicious scams, and even malware. Identity theft could occur if misleading surveys managed to extract private information. Scams could be used to convince you to pay for useless services or install unreliable programs. Some of them could be malicious, and, without a doubt, you want to avoid them because they could lead to the infiltration of other threats or even bigger security-related issues. Are you sure that other threats do not exist on your operating system right now? Unless you have your operating system scanned, you should not make any assumptions. 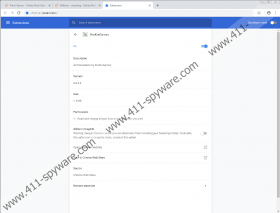 Install a trusted malware scanner, scan your system, and then you will know if or not you need to remove KraKra Games along with anything else. Will you delete KraKra Games manually? That is one of the options you have, and, without a doubt, an option that most users are interested in because it doesn’t involve installing or investing into anything. The instructions posted below can help you eliminate the undesirable extension from the browsers that it affects. If you uncover other threats on your operating system, use the available removal guides or, if you cannot complete the removal manually, install an anti-malware program. It will automatically identify and eliminate every single malicious or unreliable component. Another reason to install this program is the full-time protection it can provide you with. Needless to say, that might be the most important reason. Launch Chrome, tap Alt+F, click More tools, and go to Extensions. Launch the Clear browsing data menu by tapping Ctrl+Shift+Delete keys. Pick the time range, mark the boxes, and click Clear data. Launch Firefox, tap Alt+T to access the Tools menu, and click Extensions. Launch the Clear All History menu by tapping Ctrl+Shift+Delete keys. Pick the time range, mark the boxes, and click Clear Now.